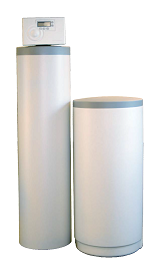 Why the Nugen Fusion XT water softener? The Nugen is made in the USA, they meet all applicable plumbing codes, the Nugen water softener comes with a limited lifetime warranty and full flow controlf valves for high flow applications. Aside from that the Nugen also comes with state of the art electronic digital metered controls.